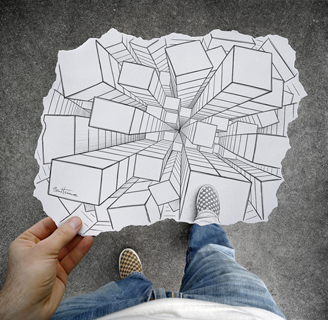 Ben Heine Art 13 is a part of the artist's series "Pencil Vs Camera" created through the imaginative combination of graphite drawing and fine art photography to open the imagination to new worlds. This wall art displays a landscape showing a magnificent Russian cathedral, and towering in the sky behind it is a gentle looking angel holding a heart, a camera slung over her shoulder. 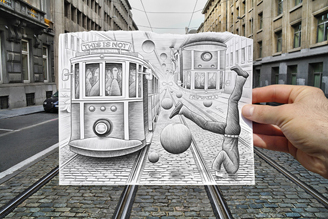 This sweet image shows how these works bring together reality and the surreal.